You will be met by your guide at Istanbul International Airport and transfer to your hotel by private vehicle. Check into your hotel with some time to relax. In the mid-afternoon, you will begin your half-day tour of the wonderful highlights of Istanbul. 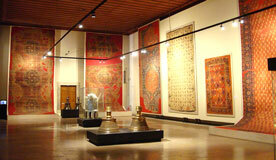 - Turkish & Islamic Art Museum is closed on Monday. - Underground Cistern is closed on Tuesday.